The late, great physicist Stephen Hawking felt an urgency towards tackling impacts of man-made climate change, imploring us not to ignore scientific facts of the warming of our planet. Back in July 2017, prior to a conference held to mark his 75thbirthday, he warned: “We are close to the tipping point where global warming becomes irreversible” (Futurism). This means that now more than ever, is the time to take every action in mitigating against some of the worst impacts of climate change. Stephen Hawking was particularly critical of Donald Trump’s decision back in June 2017, to pull out of the Paris Climate Agreement which has been described by many as one of the best hopes for tackling current problems before it’s essentially too late. Speaking to the BBC, Hawking remarked: “Climate change is one of the great dangers we face, and it’s one we can prevent if we act now. By denying the evidence for climate change, and pulling out of the Paris Climate Agreement, Donald Trump will cause avoidable environmental damage to our beautiful planet, endangering the natural world, for us and our children” (BBC). Hawking was very firm in his position that the Paris Agreement was a step in the right direction towards mitigating against some of the worst impacts climate change will bring. The Paris Agreement entails officially uniting the world’s nations for the first time in history, in a single agreement on how to tackle climate change. One of the main targets involves keeping global temperatures “well below” 20C above pre-industrial times, with an even more ambitious target on the cards to limit to 1.5⁰C if possible (BBC). This agreement has been widely viewed as a great starting point for action on climate change, although by no means an end to discussion and negotiation, with a review of progress set for later this year (BBC). Stephen Hawking had one of the world’s most astonishingly brilliant minds; clearly seeing the importance of protecting the earth from irreversible changes that could threaten the very existence of mankind. Some of his more dire predictions include the extinction of humankind on earth within 100 years. Although to combat this, he had ideas that planned for the human race to one day live on another planet in order to survive, detailed in a BBC documentary that aired on June 15th, 2017 called Expedition New Earth (Futurism). 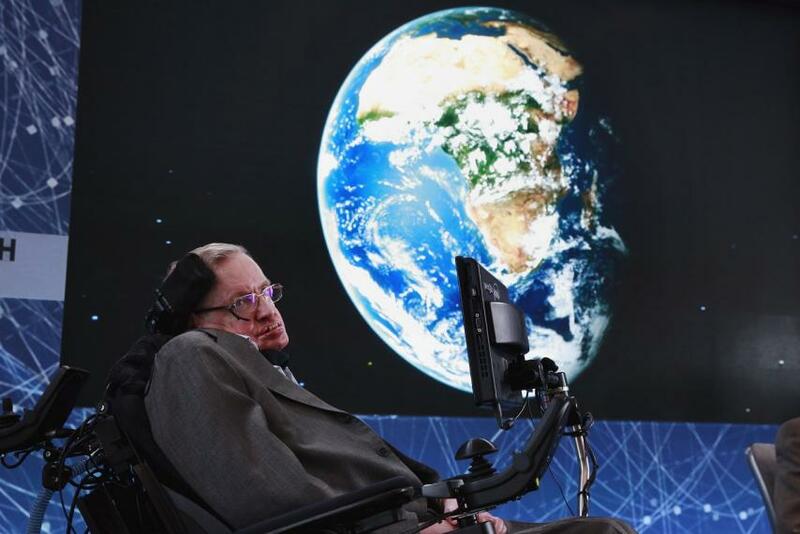 According to Hawking, leaving Earth could at some point be left as our only hope of survival; though it is important to note that no Earth-like planet has yet been found within conceivable reach that would support us, and may simply not exist. This type of far-fetched solution does bring to mind the struggles faced during the popular fiction film ‘Interstellar’, retailing their cosmic quest to find an alternate planet due to the conditions of Earth being made uninhabitable. As the film portrayed this was no easy feat, and was simply the very last slither of hope for humans on the brink and transcending into mass starvation. However, as former UN chief, Secretary-General Ban Ki-moon told crowds in New York in 2014 rallying for action on climate change: “there is no ‘Plan B’ for action, as there is no ‘Planet B’” (UN). I would, therefore, implore the world to focus on Hawking’s original message: that climate change is one of the greatest preventable dangers if we choose to act collectively, now. Preventable and immediate collective action being the two key factors here, as time is quite clearly of the essence, and makes the Paris Climate Agreement even more essential as part of the world’s mitigation plans. Personally, I think it makes much more sense to first try everything possible to protect this sure world that we live on from irreversible damage, encompassing the environment, ecosystem, as well as all animals and plants that live here; rather than chancing that some yet to be discovered science might save us. Technology has already advanced enough that we have many options available to live a more sustainable life on this planet, most notably with the multitude of renewable energies available. Continued education among generations will help to combat lack of willingness to change. When a push for change comes from within society itself, it is often more likely to be effective because it is not being forced upon the majority, it is a choice, like for example the current push to reduce plastic pollution stemming from educational series ‘Blue Planet II’. It is important for governments, businesses and organisations the world over to engage with climate change, putting long-term sustainability in front of short-term profits. Saving ourselves from the avoidable man-made environmental damage is still within reach, but only by working together as a global community can we hope to create a promising future on this beautiful planet for all, and most importantly for future generations.